CRIAQ AVIO-509 project is a research project on the design of modular avionics architectures and integrated commonly called IMA (Integrated and Modular Avionics). The main purpose of this research project aims to explore the design methodologies IMA systems and evaluate the impact of architectural decisions. A platform for experimentation will be developed to enable prototyping IMA systems. An application of synthetic vision increased (ESVS) will be implemented on this demonstrator IMA. CMC Electronics Inc. and CAE companies. 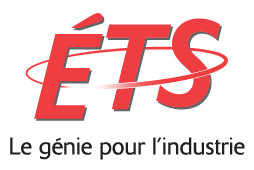 are partners in this project and the École Polytechnique de Montreal. The project has a duration of three years (2011-2014). Within this project, we are analysing the benefits of using Connext DDS for communications between different nodes of an avionic system.